Happy equinox everyone! You might be asking yourself, what exactly is an equinox? You can read the sprawling Wikipedia definition, or just happily accept the fact that today both Northern and Southern hemispheres will receive equal amounts of day and nighttime and the Sun is at zenith over the Equator. This kind of balance pleases me. A bunch of awesome things are happening currently! Life is so cool! For the next month I’ll be playing 7 shows a week for Zach Scott Theatre as they officially open The King & I this Wednesday! The last couple weeks have been full of rehearsals and preview shows, and I’m super excited for the upcoming champagne opening as I get to drink free champagne after the show! Woo! The set design is incredible, the costumes are out of control glam & glittery, and I’m very pleased to join fearless musical director Allen Robertson in the pit again for this big production. 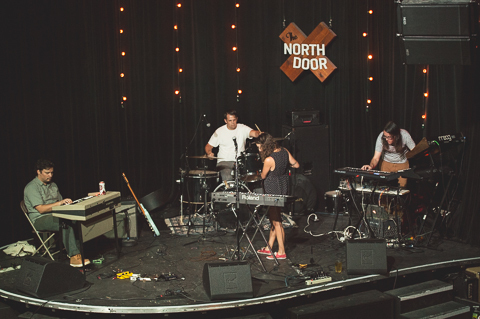 Austin psych-rock band Sungod played their final live shows this past July and I was super jazzed to join them onstage for some spacey jams. You can check out photos from our show at the North Door at Brooklyn Vegan. The self-titled LP is slated for release in November and you can listen to a track off the new album here–really happy with “fully engrossing flute melodies.” Yay flute jams! These guys work tirelessly recording and I’m super happy with how this record turned out. 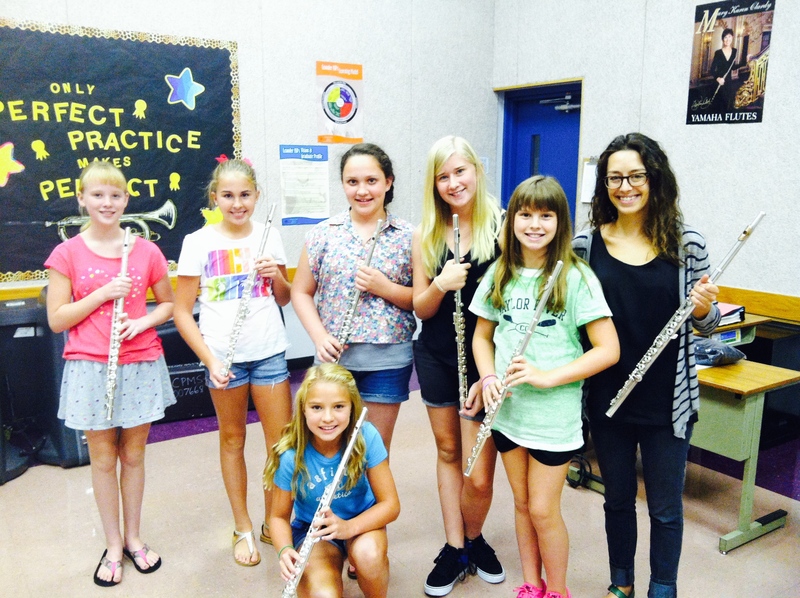 Last month I organized a week-long flute camp for incoming beginner students and we had so much fun! Our week together included a lot of basics, some fun activities, introductions to rhythm and note reading, and the kids were left inspired for the new school year and motivated to practice! These kids make me absolutely LOVE what I do. In a world where gratification is instant and everyone is staring endlessly into blank computer and phone screens, getting to truly connect with students and make them excited about music is pure joy. Music is so cool you guys!